Throughout my freelance career, logo design has been my bread and butter. Whether its helping to get a small business or startup off the ground or creating identities for refreshing established brands, I approach every identity project differently. During my time as Senior Brand Designer at Fun Events, I have been fortunate enough to have created logos and branding packages for several event and TV show ideas, including the famous, giant waterslide festival, Slideapalooza! From the initial logotype, sub-logos to illustrations, merchandise, event maps and the website, I helped make Slideapalooza a household name throughout the Hunter Valley and Brisbane, which has enjoyed a huge amount of press and even coverage on a popular Australian breakfast TV show. In 2016, I was engaged by a design and product development manager at Universal Music and their merchandising sub-company Bravado to add me to their team of freelance designers. Over the course of 3 months, I designed a total of 22 shirts the world's most iconic heritage artists. Some briefs required me to stick closely to other artist's styles while others gave me more creative freedom. 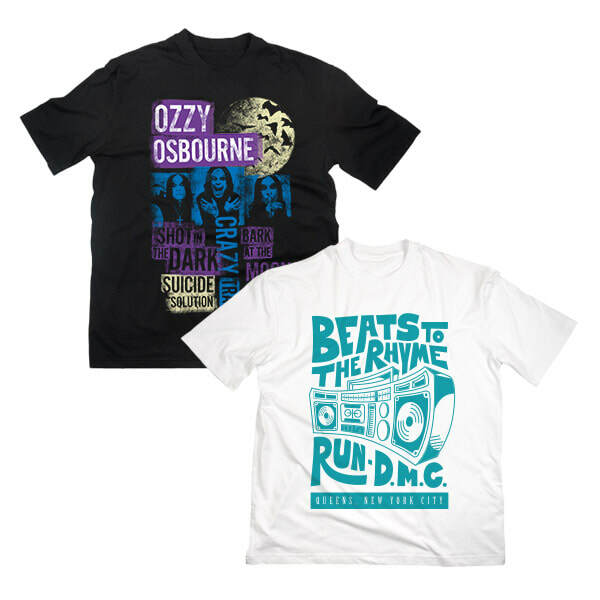 Designing band merchandise was one of my dreams as a teenager looking into starting a creative career and working with Universal and the management of some of my all time favourite bands is still one of my personal accomplishments as a professional freelancer. In 2015 I was engaged by a local businessman looking to start a new café in a shopping centre. With little direction from the client, I decided to take the liberty of creating a 1970s theme for the logo and subsequent marketing materials and menus. Since opening in late 2015, they have become a successful chain of quality cafés, bakeries and express coffee shops, with 6 stores now operating over the Central Coast and Hunter regions of NSW. In 2015, I joined a small team of awesome people, working on large-scale events throughout Australia. As Senior Brand Designer, I first worked on print and web marketing materials such as posters, digital advertising and event maps before refreshing the brand to suit signage and merchandise. Miss Muddy continues to encourage tens of thousands of ladies of all fitness levels to get active, while using the profits to support great causes, including a partnerships with well-known charities and causes. 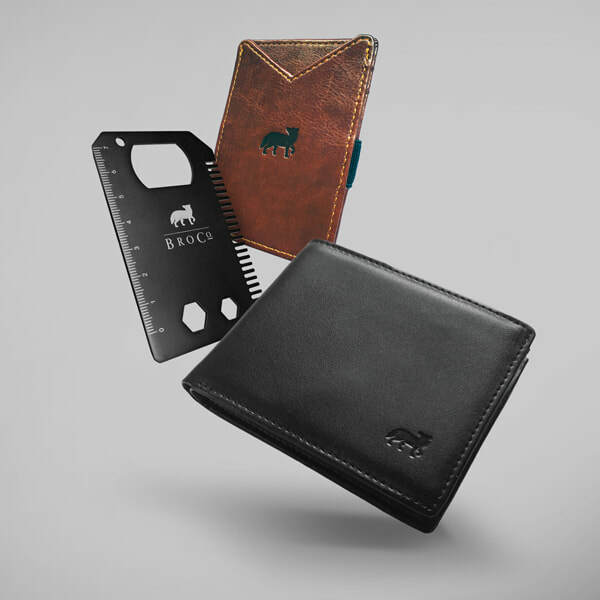 ​In 2015, myself and two friends came up with the idea to start a business dedicated to creating durable, affordable products for men with the ultimate goal of creating a one-stop shop for all quality men's gifts and bring a sense of class and humour back to the "masculine" culture. As Creative Director, I have helped grow the brand by creating the logo, branding, photography direction, online marketing campaigns and more, based on the wolf/dog logo - "a man's best friend". Since launch, our range of wallets and have enjoyed global popularity and our products have been featured in a number of publications. In early 2017, I was contacted by a talent scout for RAW Artists; a global platform showcasing indie talent in visual art, film, fashion design, music, performance art, hair and makeup artistry, and photography. I was asked to both display visual art and also play a set of original music at their Newcastle event Verse, which was held at Central 145, a beautiful re-purposed theatre in Newcastle, NSW. I wanted to display a range of different works so I created a few uniform illustrations along with some interesting mixed media pieces, including an abstract guitar string art and a typographic poster made from gaffer tape. The event overall was a great success with lots of art lovers showing interest in my art and music. © Sean Dunlop. Please do not reproduce any images without consent.